With over 170 wineries and more than 50 cellar doors located at numerous boutique wineries, the Mornington Peninsula produces some of the most mouth watering wines in the country. Touring through the Mornington Peninsula you can’t help but stop in at any number of the wineries that dot their way through the hinterland and rolling green hills of the region where you can sample, taste and even dine in al fresco vineyard restaurants and eateries where sumptuous delights are served all day long. Whether you make your own tracks along the scenic routes that will take you to all of the wineries in the area or join one of the food and wine tours so that someone else can do all of the driving for you while you sit back and relax, there are a number of ways for you to experience the award winning wines of the Mornington Peninsula. The cool climate and rich soils of the area allows beautiful chardonnay’s, pinot noir and Shiraz wines to develop, be produced and bottled at the wineries where you can sample, taste and meet the locals and owners. Why not book into one of the luxury hotels, suites and accommodation properties that will have you smelling the vineyards from your private balcony where you will also enjoy a holiday of ultimate indulgence. Learn about how the grapes a grown, ripened and harvested with daily behind the scenes tours that each winery conducts or simply take a leisurely stroll through the vines for a relaxing afternoon. 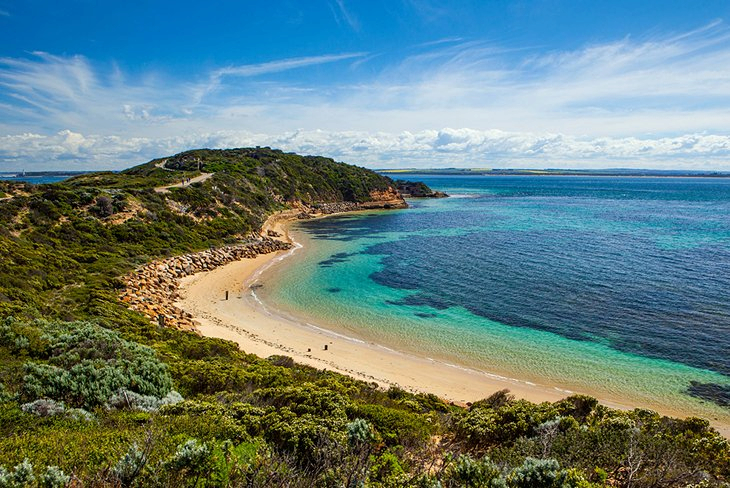 The wine region of the Mornington Peninsula is ideal for the ultimate escape, wedding locations, honeymoon’s and romantic getaways where you can only expect the best of everything from your hotel accommodation, fine foods, wines and stunning landscapes and scenery. Visit wineries located in Red Hill, Main Ridge and Moorooduc which are all located inland and for those of you who are travelling closer to the coast stop in at Merricks, Balnarring and Dromana. Wine buffs are drawn to the Mornington Peninsula as it presents wines including Cabernet Sauvignon, Merlot, Sauvignon Blanc Pinot Grigio, Pinot Gris and Riesling that all present their own unique flavours, smells and tastes which are enhanced by the topography, land and climate changes. Combine your love of fine wine with sumptuous meals that are freshly prepared by passionate chefs that put the soul on a plate and compliment each meal with a wine to remember. The compact wine region of the Mornington Peninsula is somewhere where you can really relax and unwind. Stay in luxury accommodation, fill your days with mouth watering treats and visit to local breweries, enjoy scenic routes that will take you to many hidden treasures and arrange your holiday around one of the annual festivals and events that showcase the talent of wine making and the wineries in the area.So check our website for specials and come and visit the Mornington peninsula wineries.